Ready Steady Grow is designed for young audiences (Key Stage 1) and explores the importance of healthy eating and exercise. 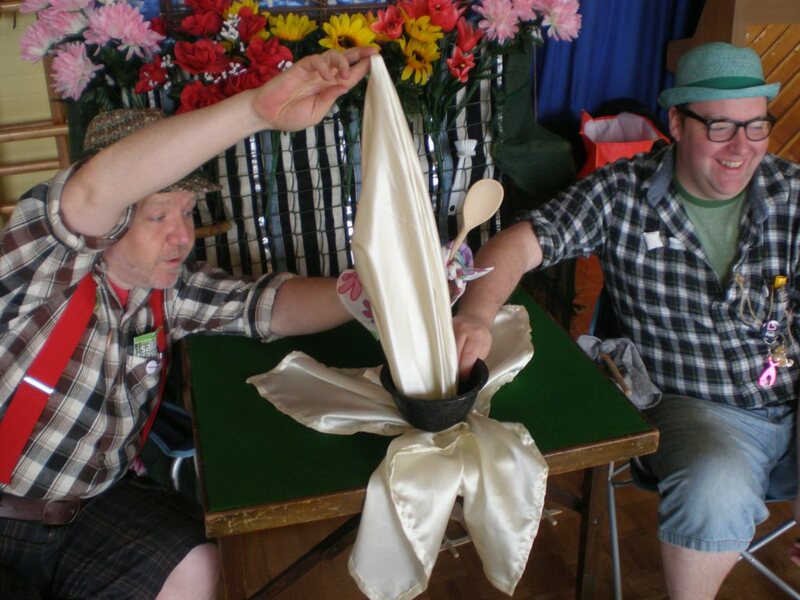 The show features Headzup’s tried and tested cabaret approach to educative theatre with a collection of songs and stories all told by two charming gardeners in and around their magical transforming potting shed. 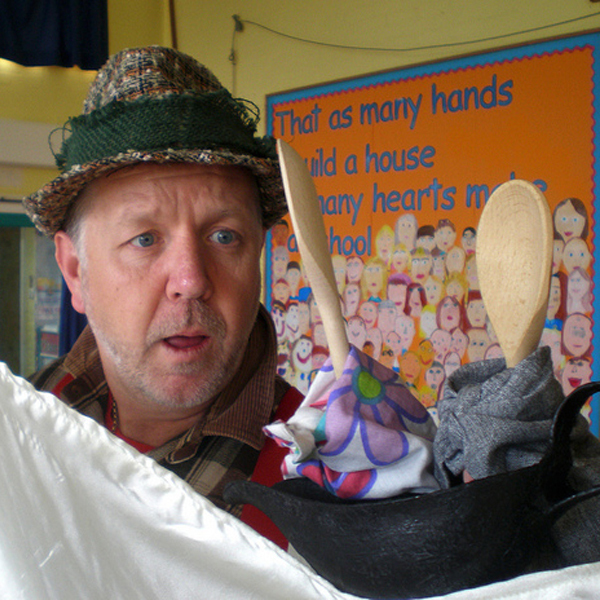 The show comprises magic, music, puppetry, storytelling and audience participation, with a number of songs enticing children and teachers alike to stand up and dance together. This show has toured extensively to much acclaim and has young people mesmerised as they learn more about the importance of physical activity, good food and good fun. The show lasts around 40 minutes and takes just half an hour to prepare and remove.